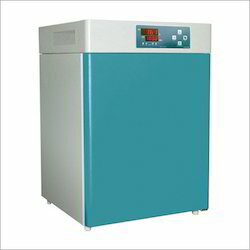 Offering you a complete choice of products which include bacteriological incubator memmert type, orbital shaking incubator and bacteriological incubators. 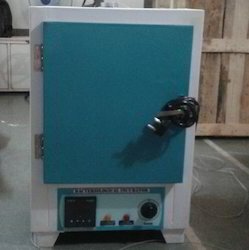 We manufacture & provide superior quality bacteriological incubator which is fabricated using the qualitative raw material. Our bacteriological incubators are triple walled with the outer body fabricated with mild steel while the inner body in mild steel, or stainless steel. The inner body is lagged with glass wool & the temperature controlled by capillary type thermostat, temperature range 5ºC above ambient to maximum 60ºC with an accuracy range of ±2ºC. 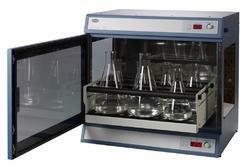 Within the incubator, the glass door is available. The three side heaters manufactured from nichrome wire provided by the memmert model. Doubled wall inner S.S. outer mild steel temperature range to 10 ºC to 60 ºC ± 0.5 ºC controlled by preset dual display electronic digital temp. Controller indicator. Air ventilation to remove the hot gases/fumes.